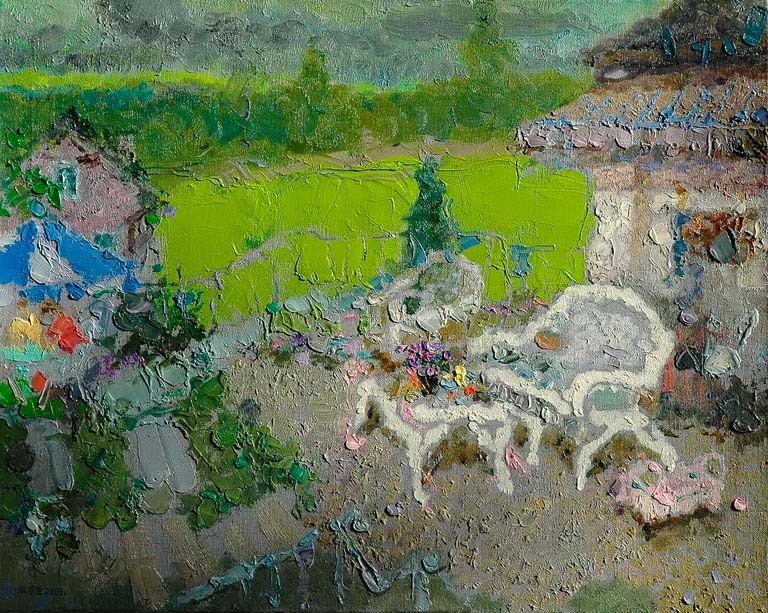 Zhang Jing Sheng ( b. 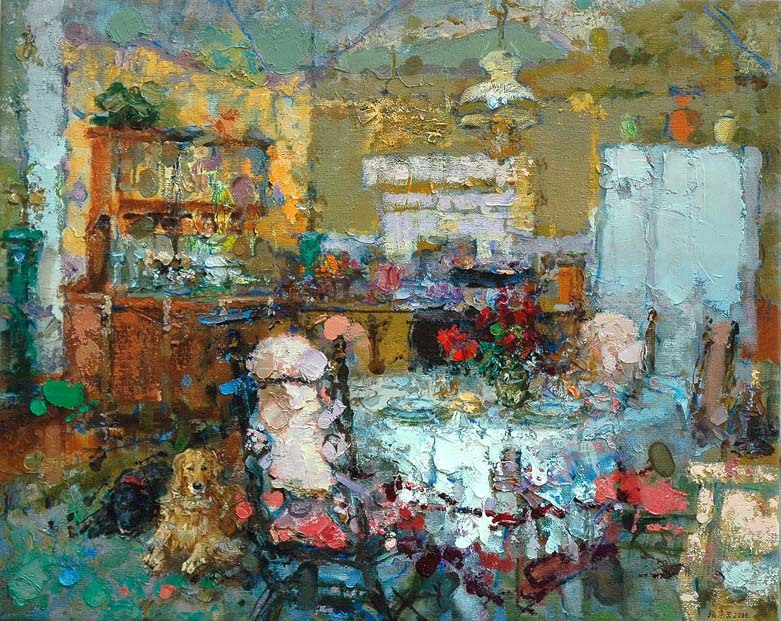 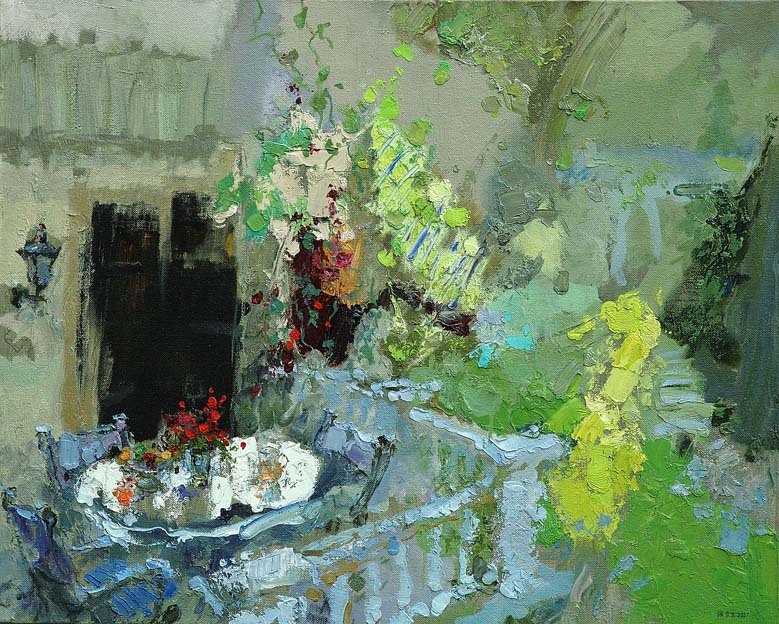 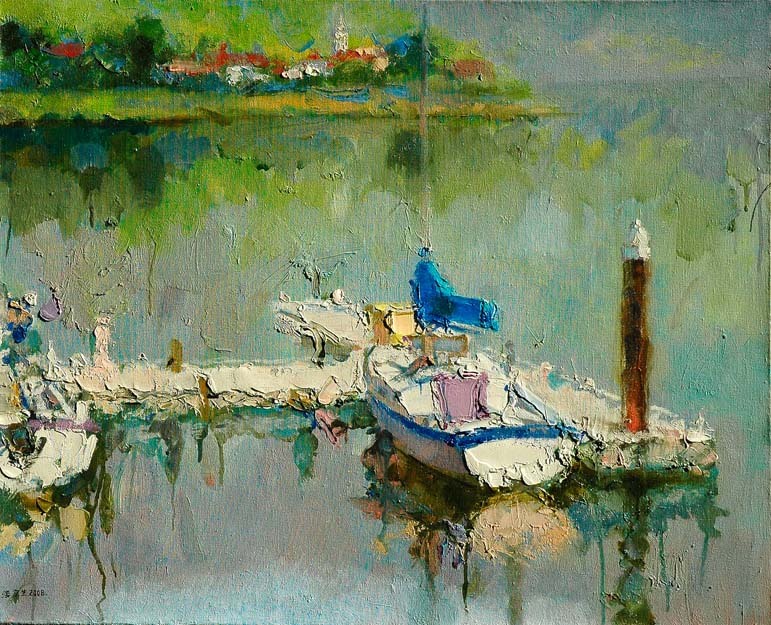 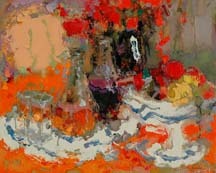 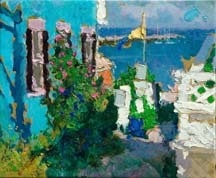 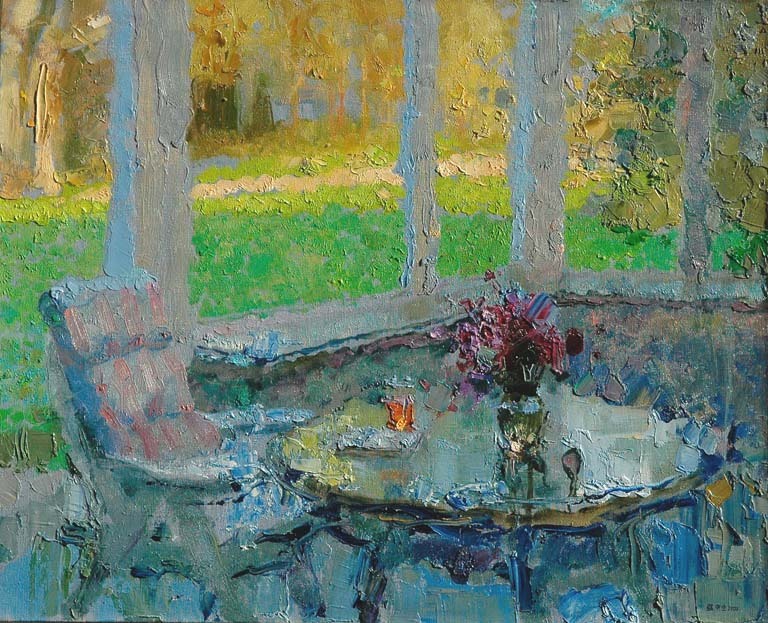 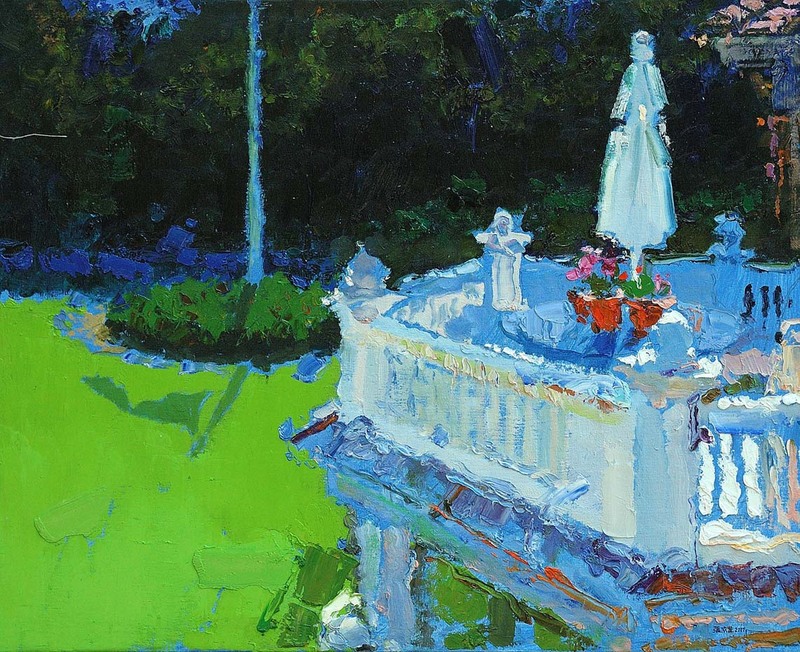 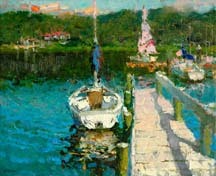 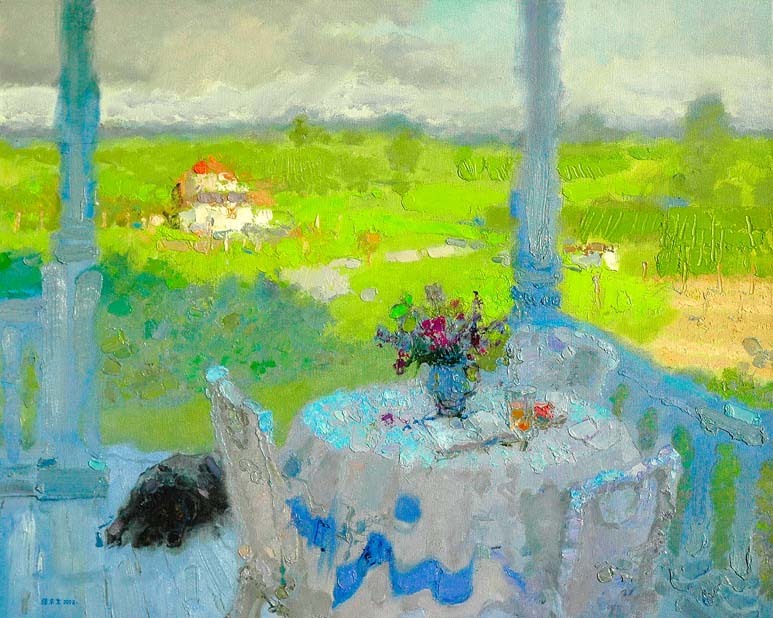 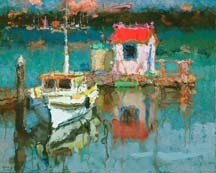 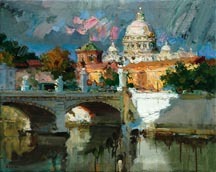 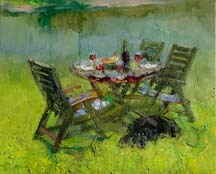 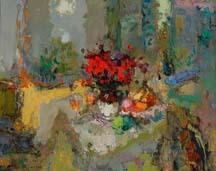 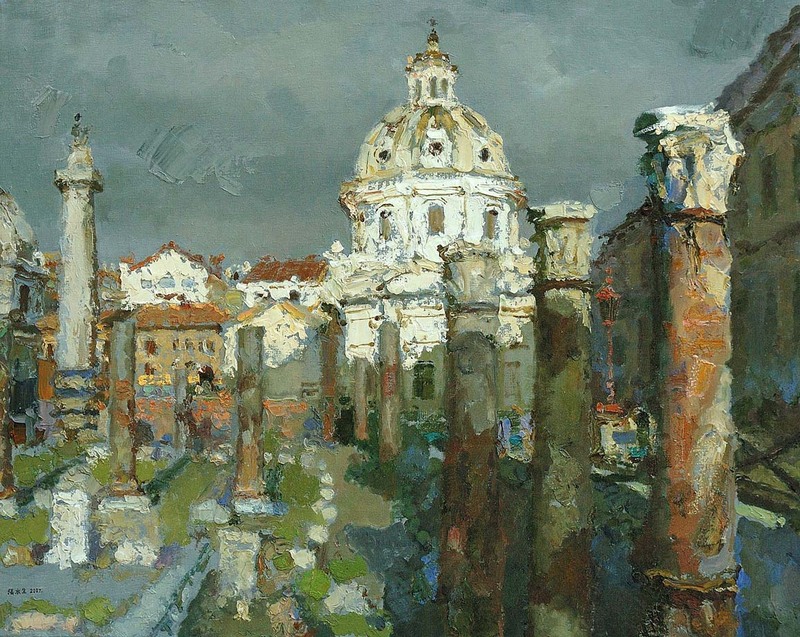 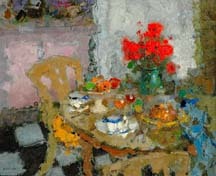 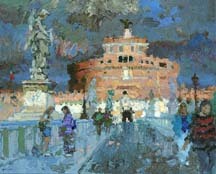 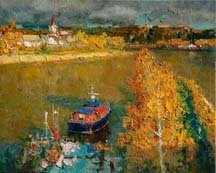 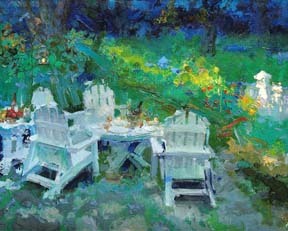 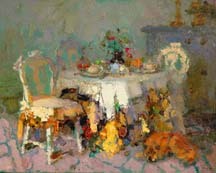 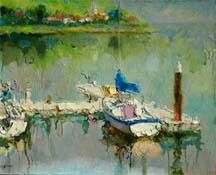 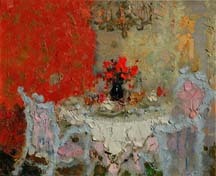 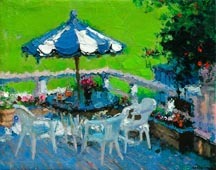 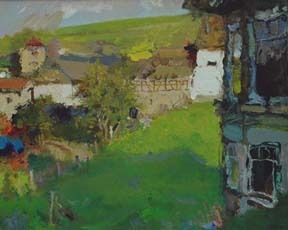 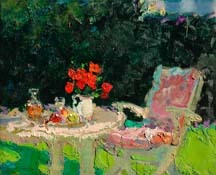 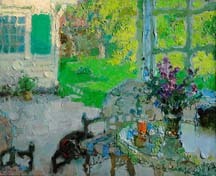 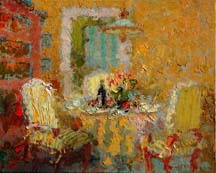 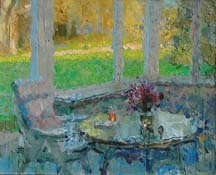 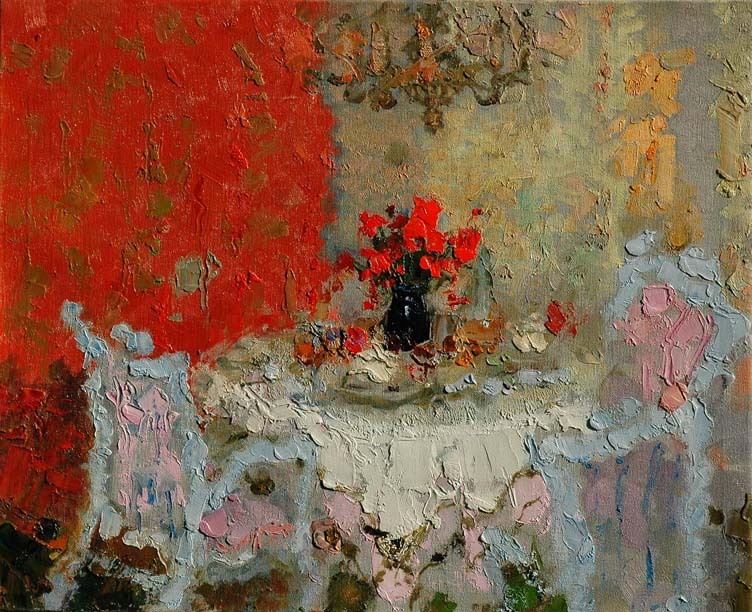 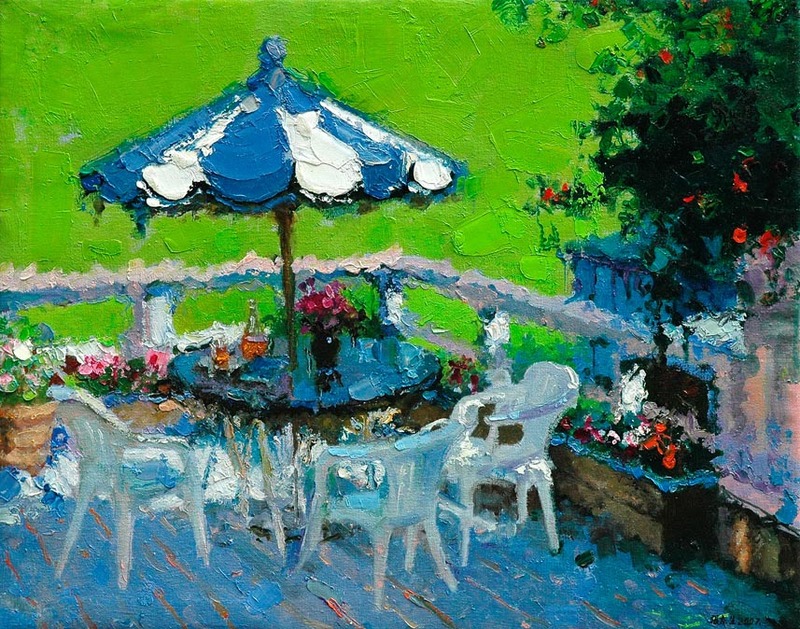 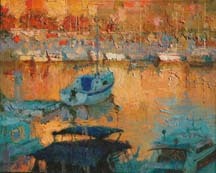 1940- ) is a devoted painter who for many years studied color. 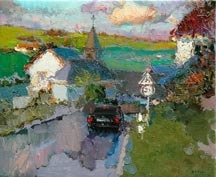 Of course there were influences from impressionism, but he has his own style. 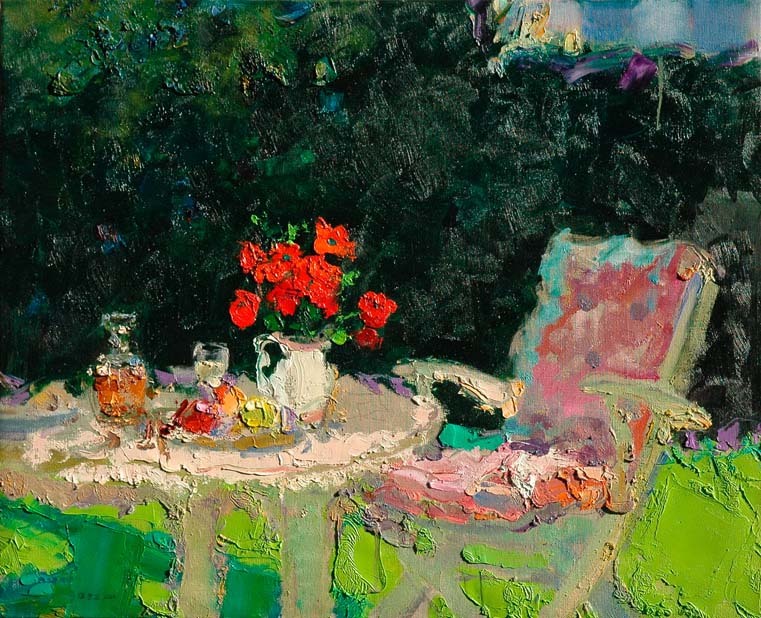 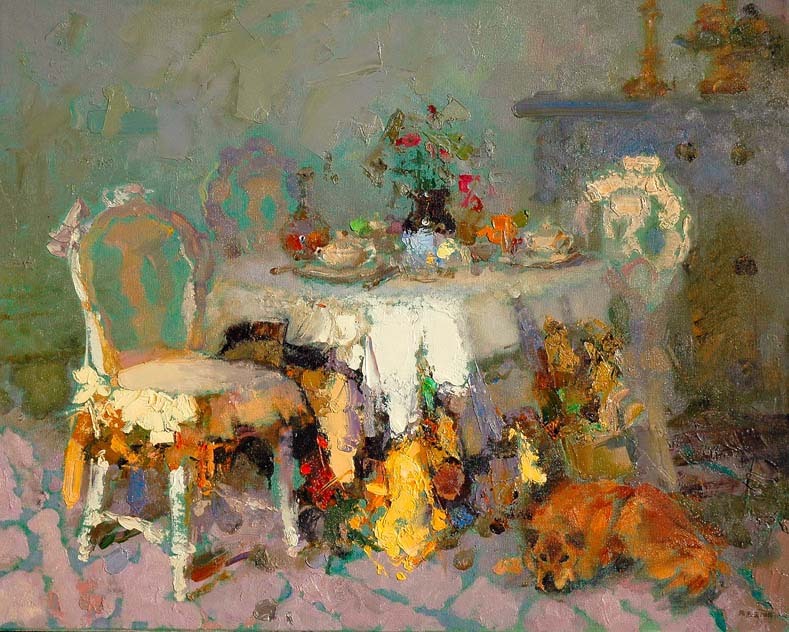 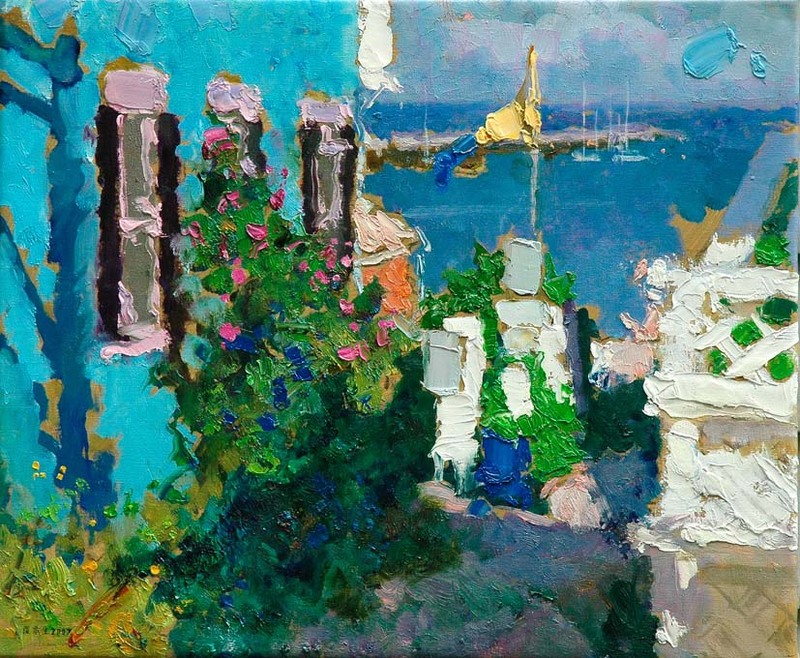 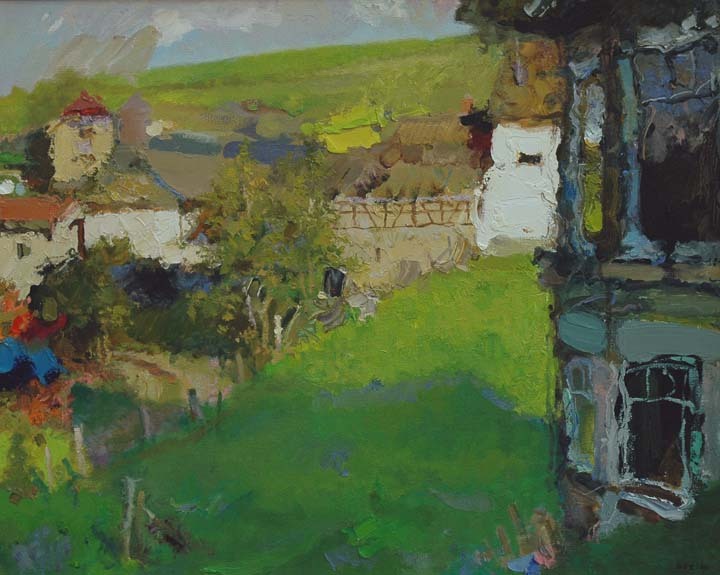 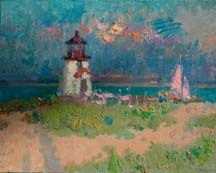 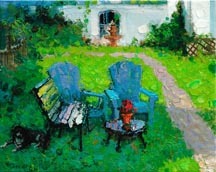 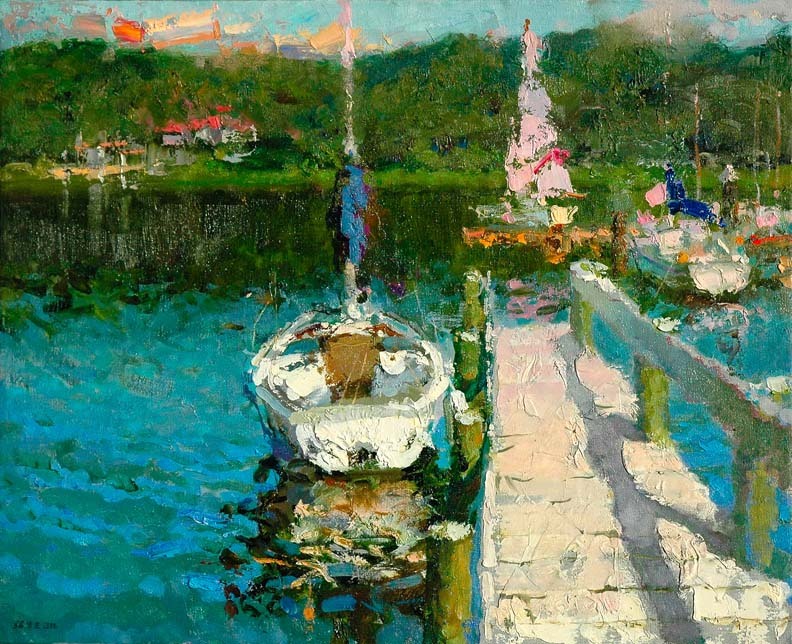 He tried to reveal the intensity of color, often working with a palette knife to let his colors reach their most brilliant and richest point. 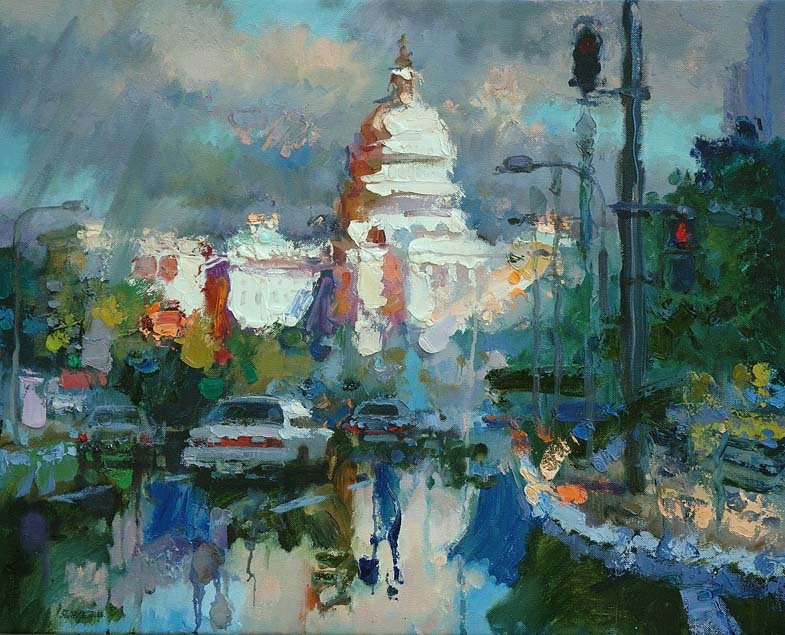 He painted in layers, alternating the thick and the thin to give his colors a dynamic tension. 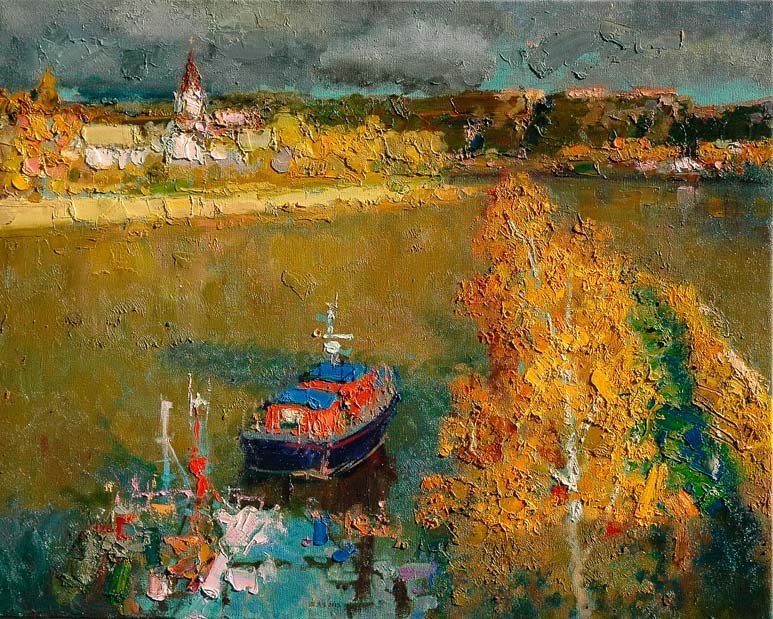 There were also influences from ink painting in that he manipulated the emptiness and fullness, the tinting of colors, the flowing of energy as would an ink painter. 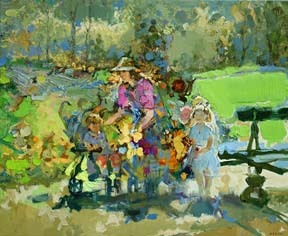 oil on linen 32 x 40"
oil on linen 26 x 32 "
oil on linen 26 x 32"
oil on linen 20 x 24 "
oil on linen 26 x32"
oil on linen 24 x 30""
oil on line 26 x 32"